Childhood hearing loss is more common than most people assume, and yet this invisible condition can rob a child of the ability to develop close emotional relationships with family and friends. 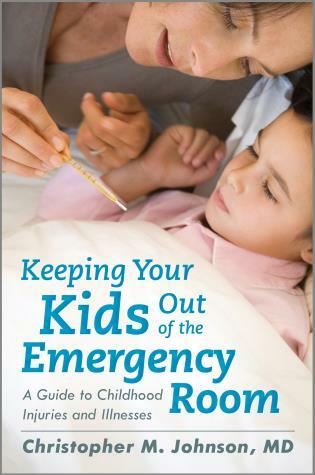 This book demystifies this condition and offers emotionally-supportive approaches to caring for the child and the whole family. 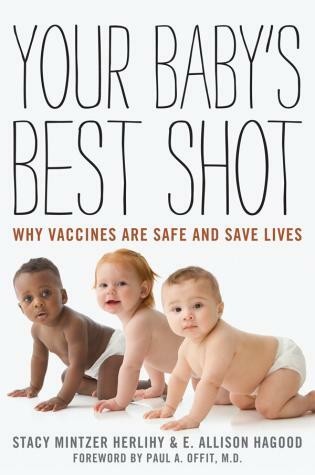 It is written from the perspective of a pediatric audiologist who has diagnosed hearing loss in hundreds of newborns and young children, and who has shaped clinical best-practices during his career. Brian Fligor, ScD, is a board certified audiologist and holds a pediatric audiology specialty certification (PASC). He is chief audiology officer at Lantos Technologies, Inc., a private medical device company developing novel technology to help those with hearing loss. Fligor is also founder and principal audiologist of Boston Audiology Consultants, Inc., an audiology clinical and consulting practice in metropolitan Boston, Massachusetts. He has held numerous faculty appointments at audiology programs and medical schools, including Assistant Professor in the department of Otology and Laryngology at Harvard Medical School and faculty member of the Leadership Education in Neurodevelopmental Disorders (LEND) program while he served as director of diagnostic audiology at Boston Children’s Hospital (Boston, MA) from 2005 – 2013. In these roles, he developed and taught courses in pediatric audiology, with an emphasis on the diagnosis and management of hearing loss in newborns. He is currently adjunct faculty in the audiology training programs at Northeastern University (Boston, MA) and Salus University (Elkins Park, PA). Fligor has authored 22 papers in peer-reviewed medical/scientific journals, 8 book chapters in general audience books and medical/scientific textbooks, given over 100 invited presentations at national and international medical and audiology conferences, and is a regular contributor to national news outlets on topics of hearing loss in children and noise-induced hearing loss and tinnitus. He lives in the Boston metropolitan area with his wife and four children. 2: What is Hearing Loss? How Did This Happen? 5: How is Hearing Loss Treated? 6: Beyond Devices: How Do You Know Interventions are Working? This book provides an excellent description of childhood hearing loss. 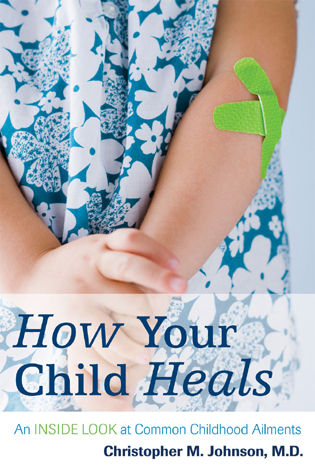 Fligor thoroughly and successfully covers a wide range of essential information that parents need in order to make educated decisions about their child's treatment. He discusses topics such as the challenges of gaining insurance coverage for hearing aids, the pros and cons of various treatments, and the importance of early intervention for ideal speech and language development. He also addresses the challenges that both the children and their parents encounter when dealing with hearing loss. Though the author introduces some of his topics as being more technical or difficult, he consistently describes conditions and treatments in easy-to-understand language. His use of visual aids to illustrate hearing loss at different levels is very effective. In addition, Fligor excels at conveying and encouraging empathy for children with hearing loss as well as for their parents. This book is essential not only for parents but also for students, educators, clinicians, and anyone else who works regularly with children with hearing loss. Summing Up: Highly recommended. All readership levels. [T]his book is a useful read for all professionals involved with hearing impaired children. It gives insight into how parents may view clinic sessions and how we, as clinicians, can help them to understand the hearing loss and the requirement for early intervention in a way that addresses their concerns for their child’s future in a more relevant way. Overall, I would recommend this book for parents and paediatric audiologists, especially those who are less experienced with paediatrics. In Understanding Childhood Hearing Loss, Brian Fligor presents a comprehensive overview of childhood deafness in an informative and easy-to-read style. This well-written book provides important information for parents regarding today’s medical treatments and audiologic management options for children with hearing loss. Many of the key topics are enriched through descriptions of the author’s extensive personal experiences as a pediatric audiology specialist. Dr. Fligor has provided an accessible and comprehensive overview of childhood hearing loss that would be a valuable resource to families as well as anyone who wants to learn more about this topic. He shares a thought-provoking perspective of the diagnostic visit and walks you through the journey with advice to help “break down the barriers” that hearing loss can present. The information he shares about the social emotional aspects of growing up with hearing loss gives essential guidance to families to help support their children in reaching their full potential. This book provides comprehensive information for diagnosis and treatment of hearing loss. The content, the writing style, and the breadth of the information all contribute to the usefulness of using this book with families. I commend Dr. Fligor in compiling such a terrific book that fills a gap for audiologists communicating with families, as well as for the families themselves. The information is a strong foundation to support parents and provides a great model for audiologists as counselors. A must read for parents with deaf/hard of hearing children of any age. Hearing loss is not an “all or nothing” condition, but a range from very subtle, slight challenges, to very little ability to hear. The impact that hearing loss can have on a child’s language, intellectual, social and emotional development is enormous. But when the team of healthcare providers, developmental specialists, and parents are all working together, the hearing loss can become just another trait of this wonderful, unique child, rather than the single condition that defines the child and the family’s experience raising that child. 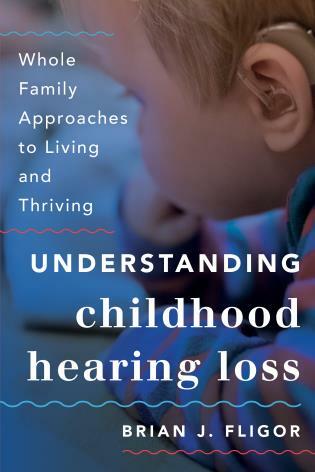 This book offers an explanation of “what is hearing loss” for parents, describes who is on the team working with the child (and team members’ roles), and practical guidance for navigating what can be an uncertain path for families. Any family living with a child with hearing loss will benefit from the gentle guidance and hopeful stories found in this work.